Wordless Wednesday: generation doesn’t matter, childhood is eternal. The Big T’s aunts Mary and Hazel, and his uncle Tom. The Royal Naval Patrol Service Memorial commemorates the 2385 servicemen and women from the RNPS who lost their lives 1939-46 and who have no known grave. 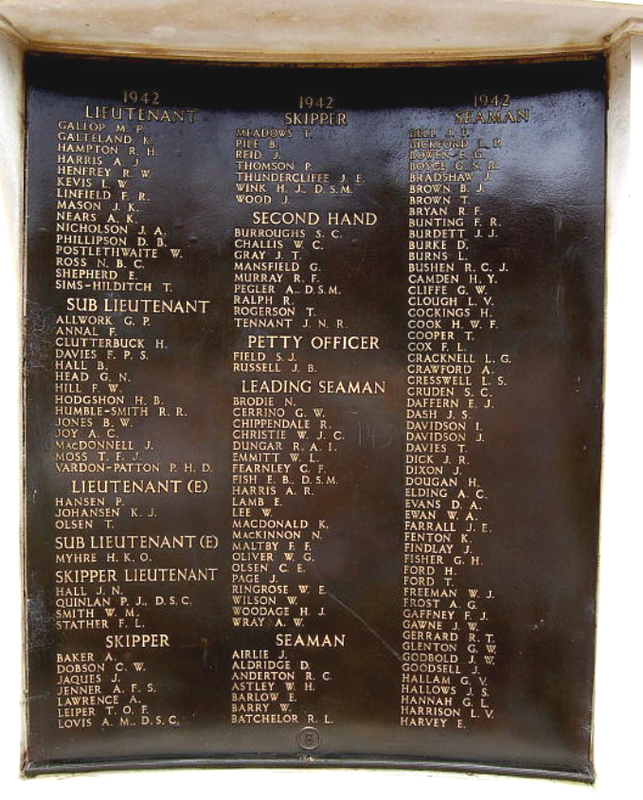 Most of these, like my great grand uncle Stewart Cruden, died at sea. 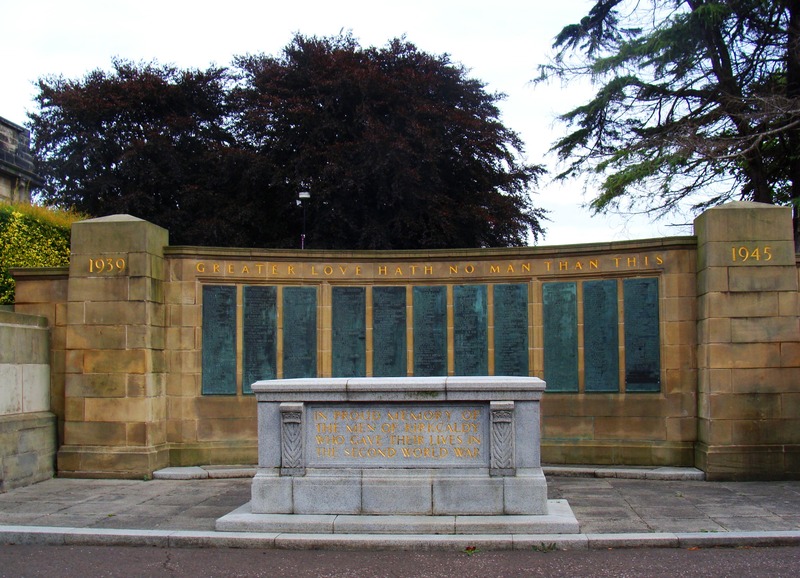 Kirkcaldy War Memorial; Stewart Cruden’s name appears here. Photo: Su Leslie 2013. Stewart Cruden is also remembered on the Kirkcaldy War Memorial. 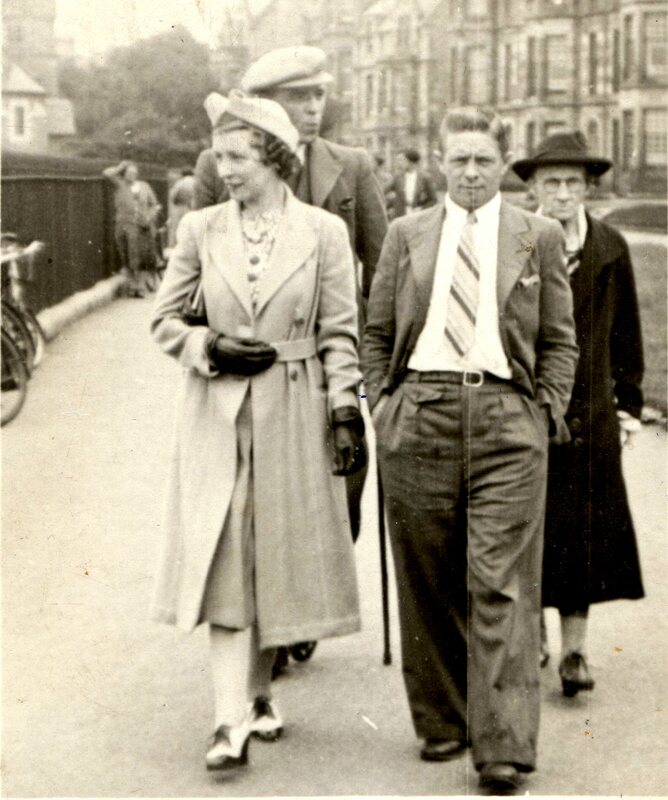 Strolling … Stewart Cameron Cruden with his mother and an unknown couple. Growing up, I often heard my mother talk about her great uncle “Sanky” who had died “in the war.” The bare bones of the story were that he drowned while serving on the Arctic Convoys, but like most family stories, it sat at the back of my mind, unexamined and half-forgotten. When I first began researching my family history, mum sent me the photo above of her Uncle Sanky – whose real name was Stewart Cameron Cruden. My mum doesn’t know when or where the photo was taken, or who the other people were, but that image of a confident young man walking nonchalantly towards the photographer somehow made him real to me and it became important to understand more about his life and death. Arthur Dove, playing with one of his children. Arthur’s grandson, the Big T and his child. The game remains the same. Flying child. No-one catches like Dad. The Big T’s aunts Hazel and Mary and uncle Tom; all passed away now, but each lived a long and full life. 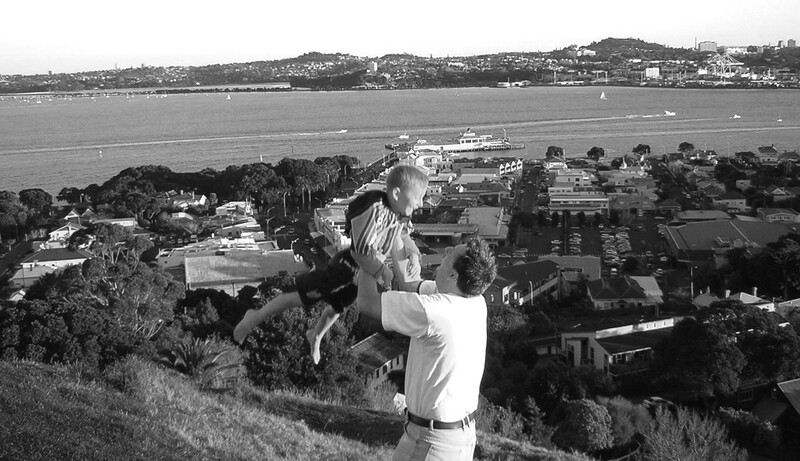 They have left behind children, grandchildren and other whanau who are glad they touched our lives. 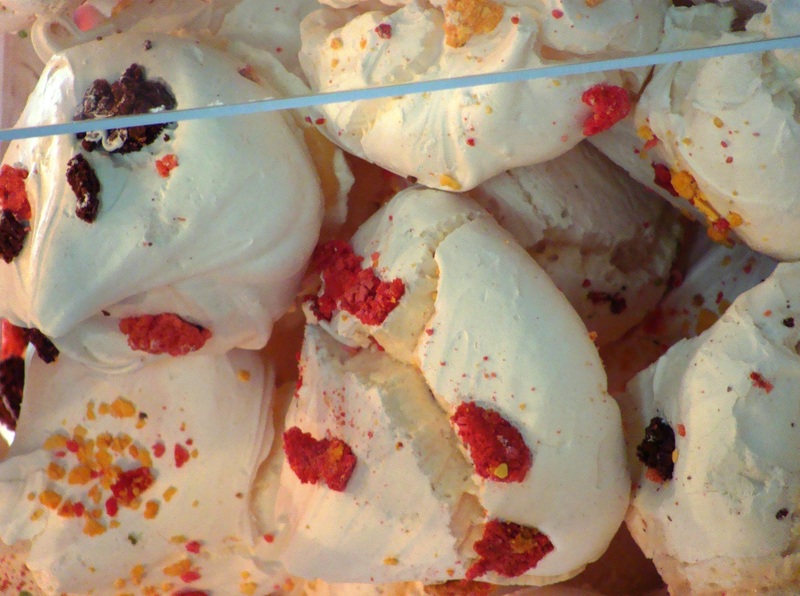 Wordless Wednesdays are written in response to a Geneabloggers’ prompt. 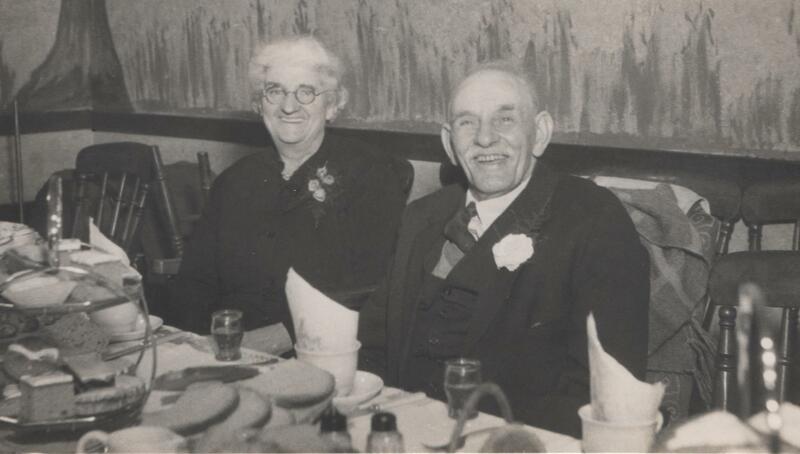 My mother’s paternal grandparents; David Ramsay and Mary Fisher. 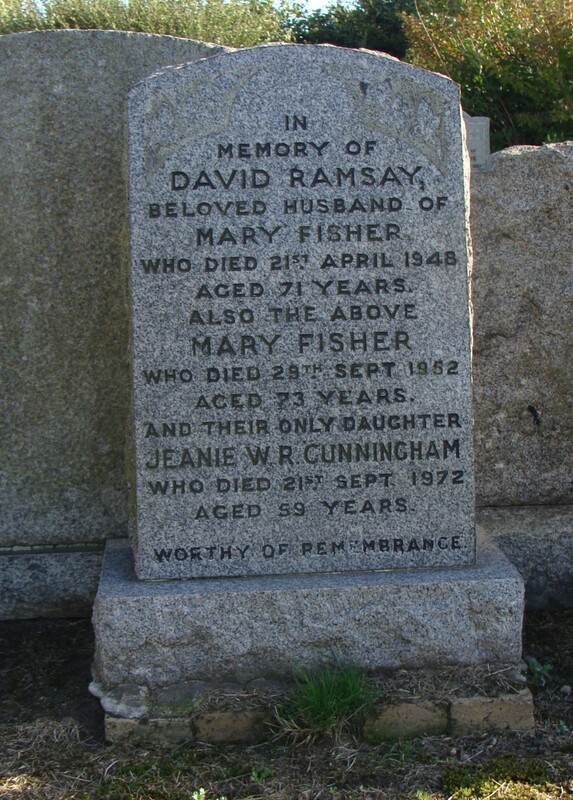 Against the wall in Dysart Cemetery, is the grave of my great grandparents David Ramsay and Mary Fisher, along with their daughter Jean. They are the only Ramsay relatives I could find in Dysart, and although the grave wasn’t overgrown, it doesn’t look as though it’s regularly tended. I’ve been thinking a lot about the family, probably because I don’t know very much about them. My great grandparents died before I was born, and even my grandad died when I was eleven. I have no memories of meeting any of his siblings, though my mum assures me I did. 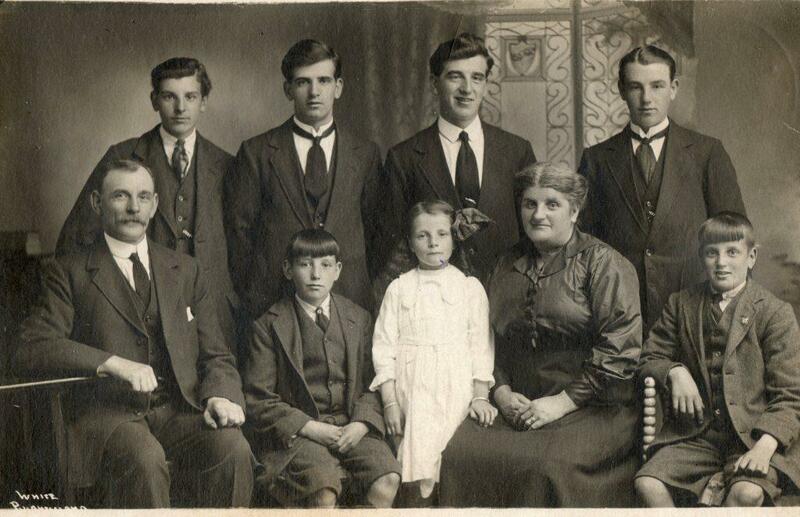 My grandfather David Ramsay (top right) with his parents and siblings. Looking at the photos of the Ramsays my mum gave me, they mostly looked happy – especially my great grandfather. David Skinner Ramsay and Mary Fisher; their fiftieth wedding anniversary. I don’t think you could really say anything better about someone.